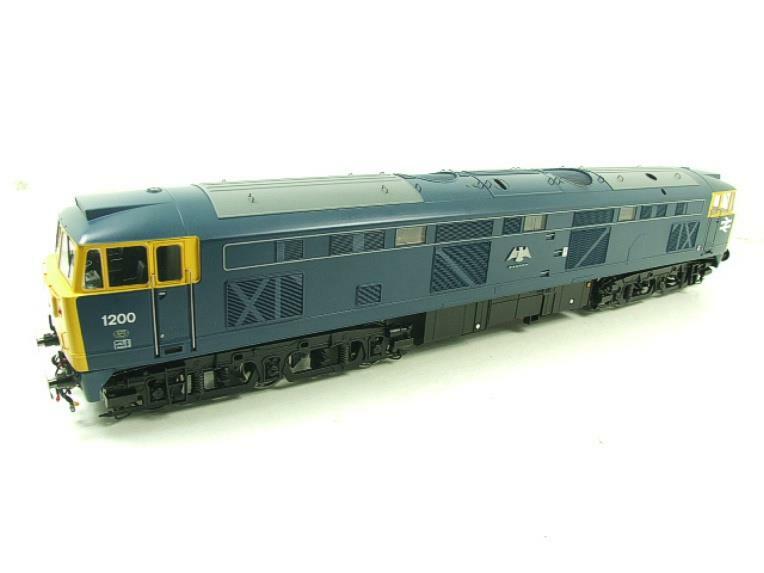 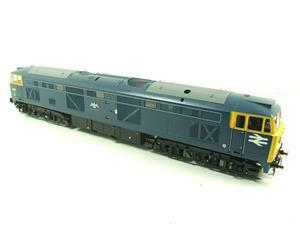 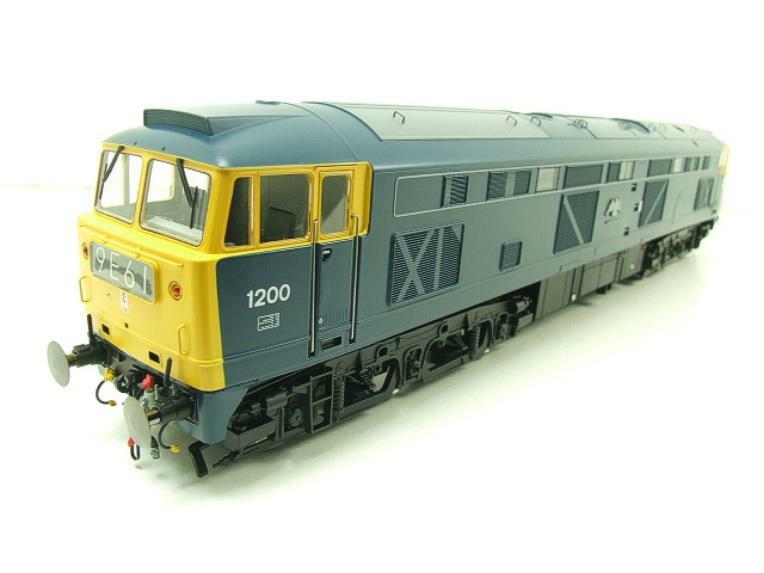 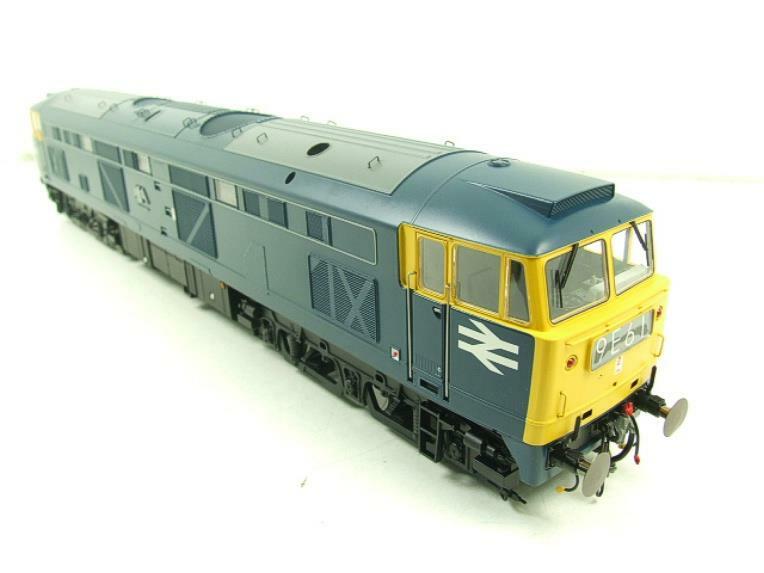 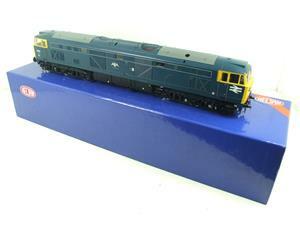 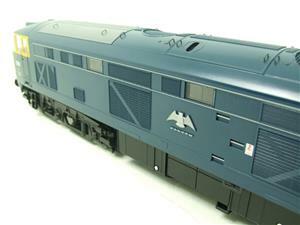 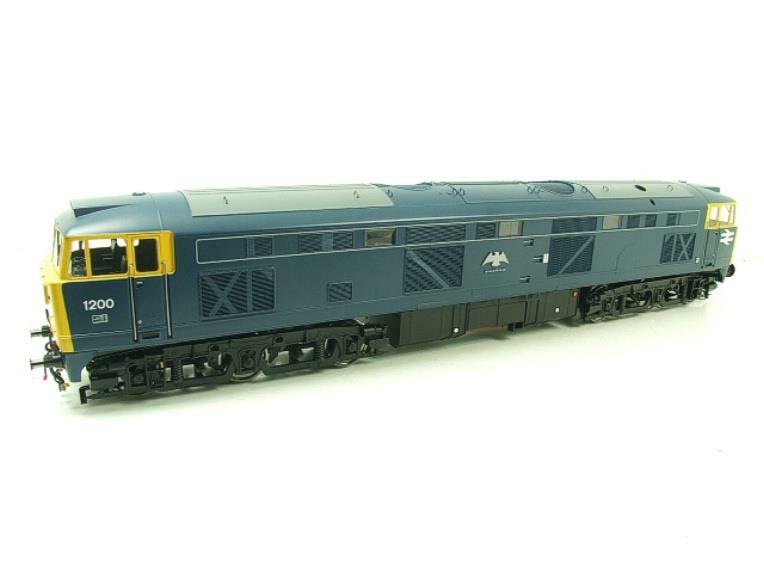 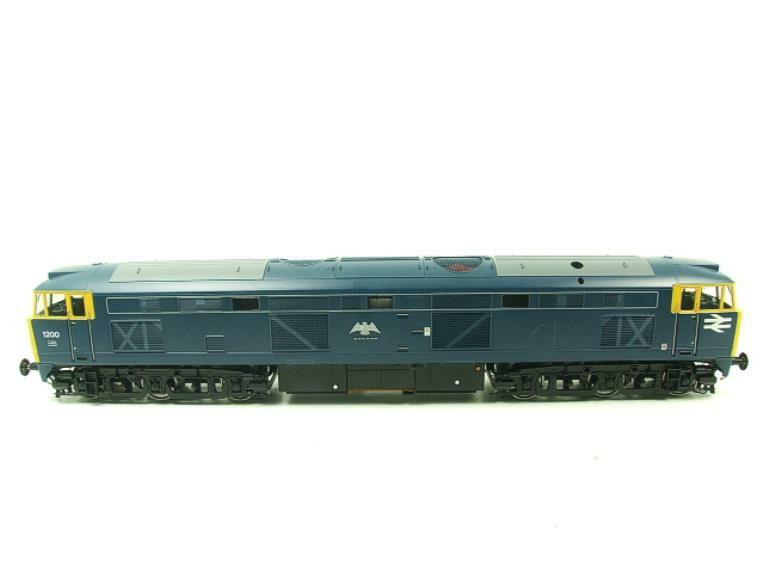 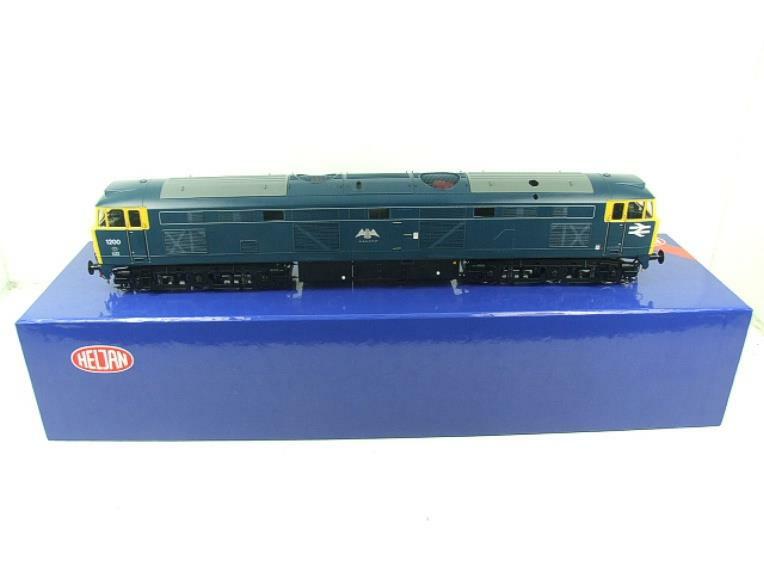 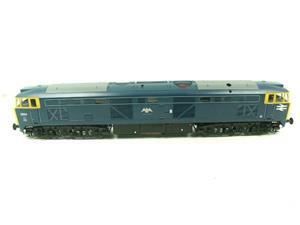 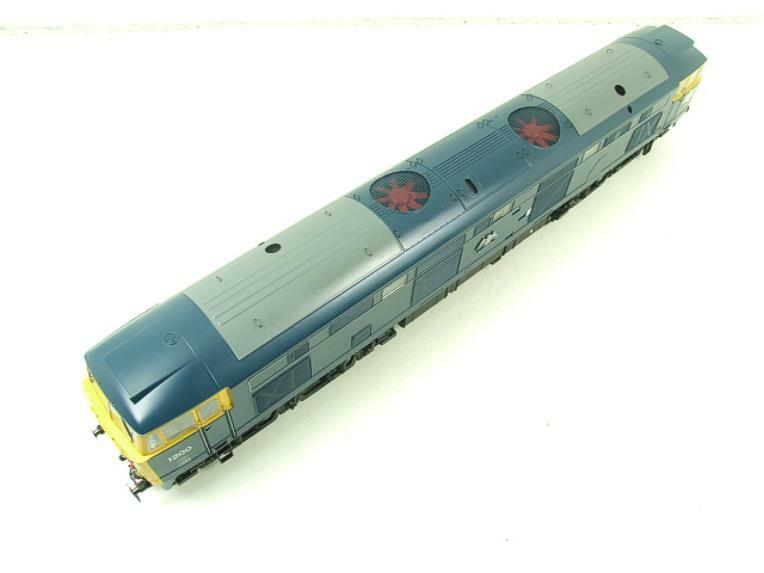 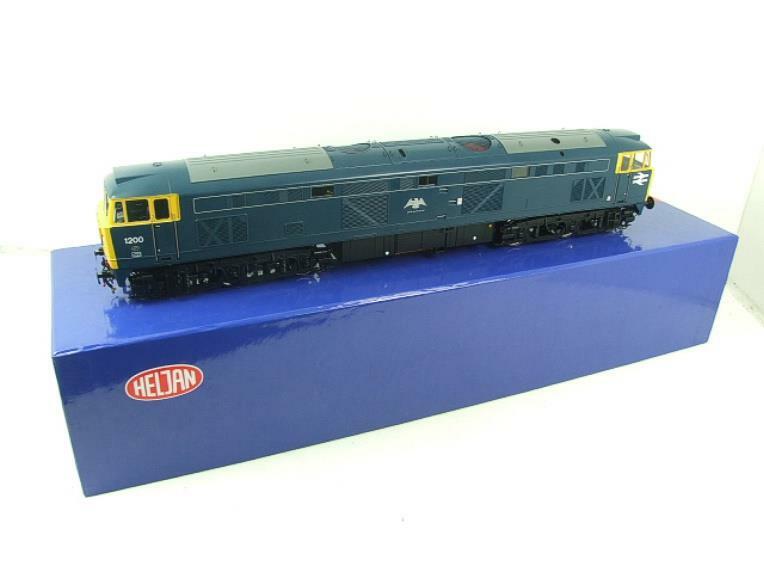 Heljan, O Gauge, 5352, BR, Blue & Yellow Edition, Class 53, BFY "Falcon" Diesel Loco, R/N 1200. 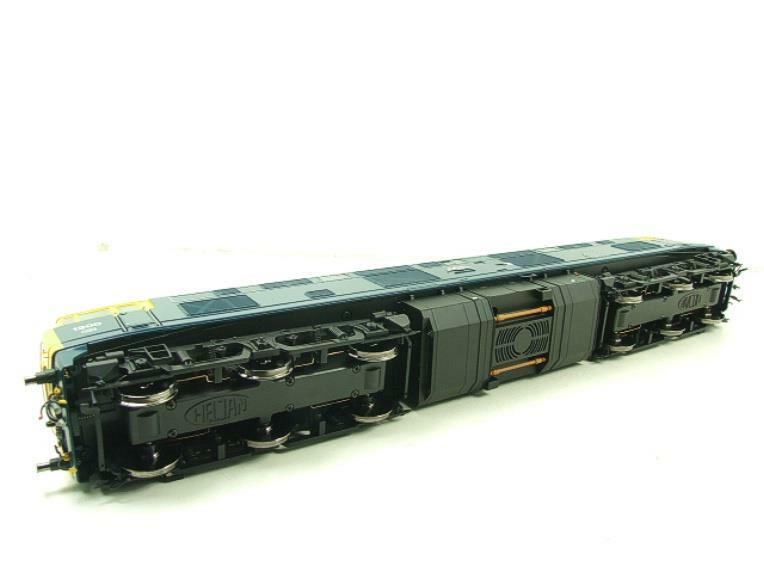 Electric, 2 Rail. Highly detailed model. 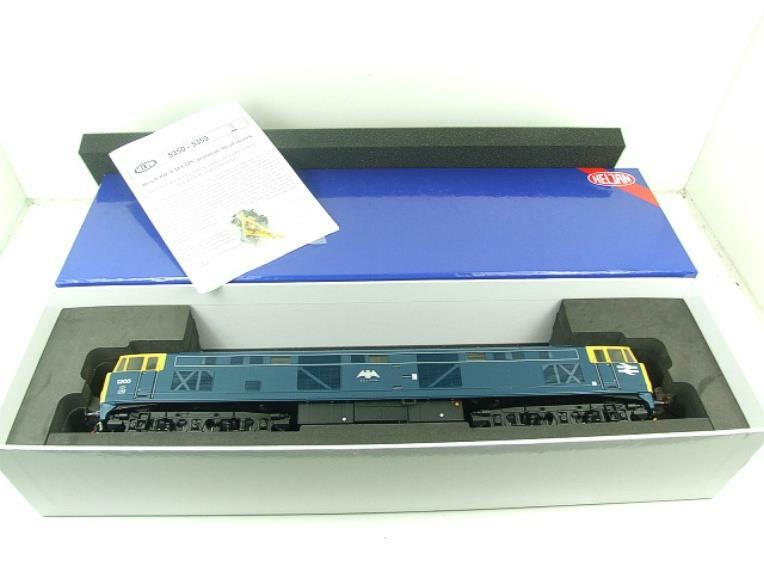 It is in excellent condition & appears unused condition. 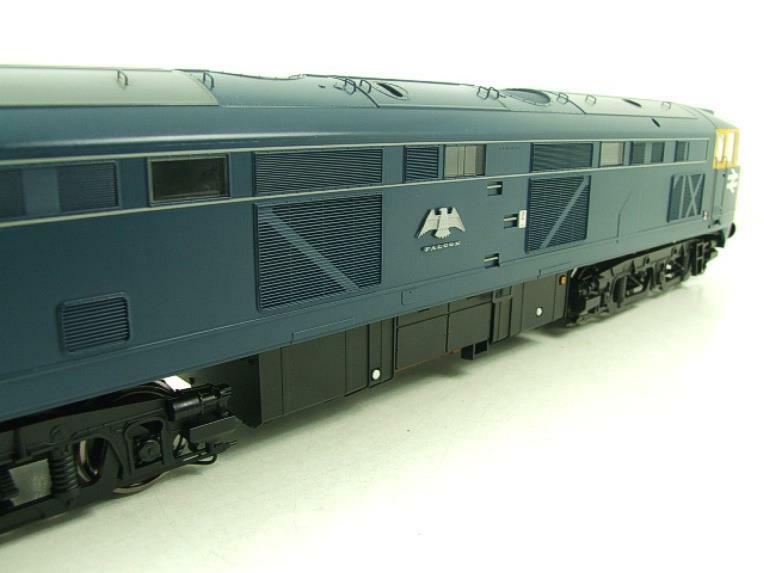 It does show some minor marks to one end to its buffer heads. 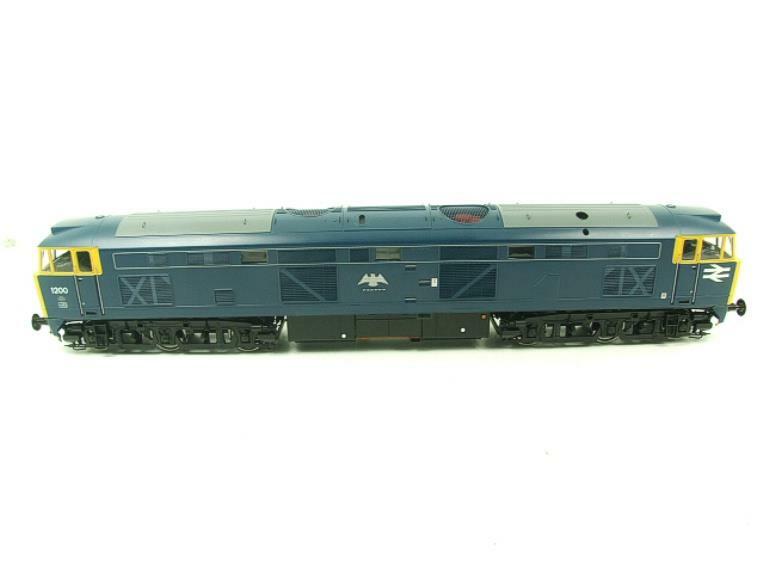 Appears to be & looks to be all complete but some small minor parts may be missing loose. Excellent collectors bargain priced edition. 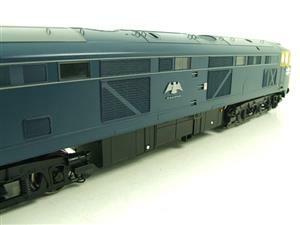 Features Rotating roof fan, Detailed cab interior, Directional tail lights & internal cab lights, Powered by x2 Powerful 5 Pole motors. 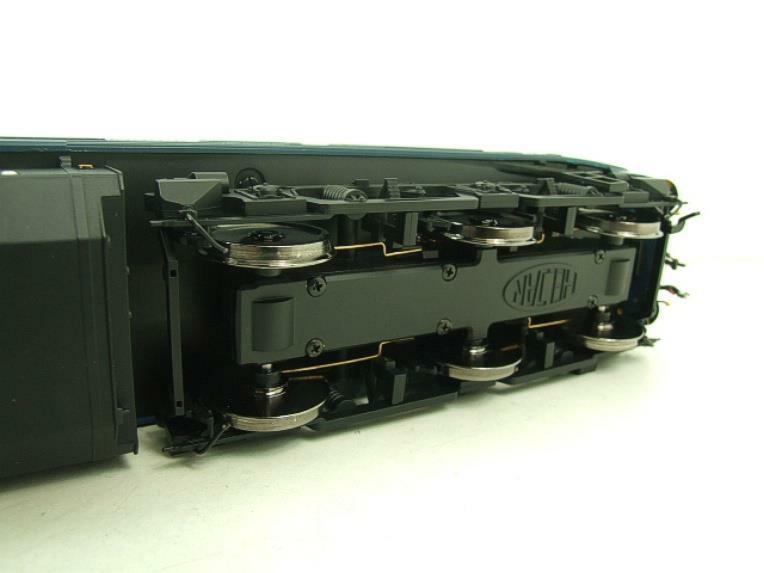 It is all complete. 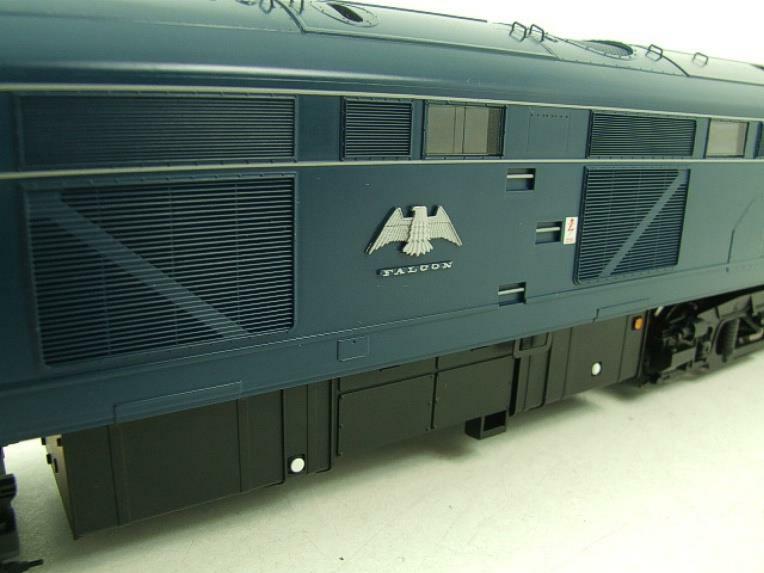 It has been bench tested & when power was applied its reverse lights are not working which otherwise it powers up very well. 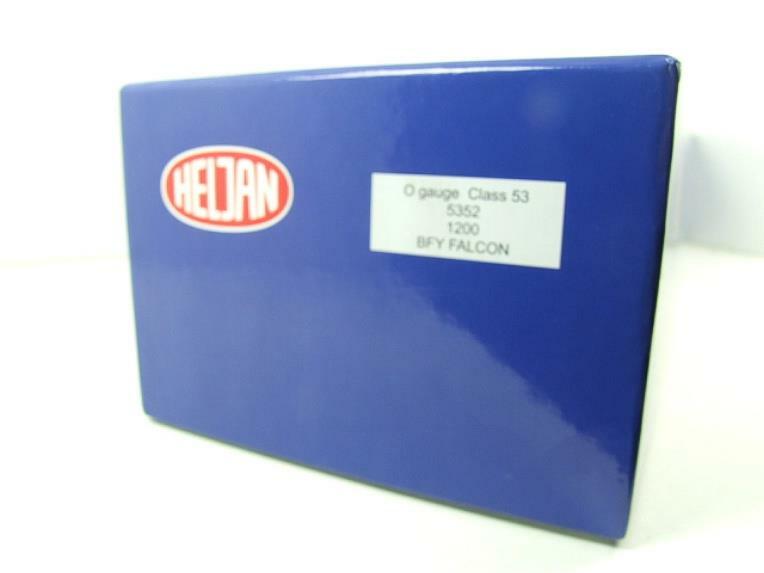 Boxed in its original HelJan box which it will be carefully packed in for the posting/shipping of it. 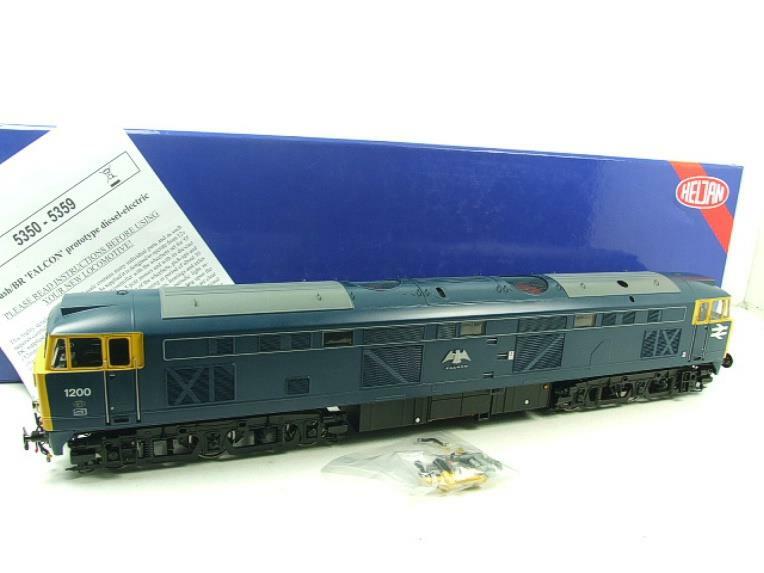 Supplied with a pack of additional parts & includes instructions.